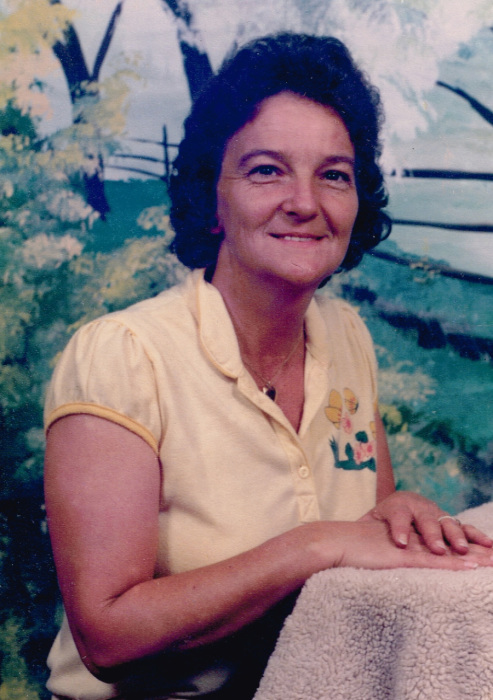 Martha Anne Arnold Sanders, 73 of Lexington, GA died Tuesday, November 27, 2018 at her home. A lifelong resident of Oglethorpe County she was born September 17, 1945 in Philomath, the daughter of the late Edgar Lee Arnold and Sallie Mae McElhannon Arnold. Martha attended Oglethorpe County High School and was a Seamstress at Ivie Seaming Company and later worked as a security guard. She enjoyed reading and word search puzzles. In addition to her mother, Sallie Mae Arnold McElhannon, Martha is survived by daughters, Cathy Lee Fields, Tammy Turner and Lisa Martinez; son, Carl Dean Farmer, Jr.; sisters, Edna Noggle (Dorsey) and Rosa Lee Ivie; brothers, Eddie Arnold, George Lee Arnold, James Arnold, Joe Mell Arnold (Tracey), Leonard Arnold (Gloria) and Raymond Arnold (Rhonda); fourteen grandchildren and fifteen great-grandchildren and numerous nieces and nephews. She was preceded in death by her father, Edgar Lee Arnold; sister, Annie Arnold; brothers, Franklin Arnold and Harold Clifford Arnold; and grandchild Mitch Taylor. Funeral service will be held Friday, November 30, 2018 at 11:00 a.m. at Callaway Chapel, 208 N. Rhodes Street, Union Point, GA. Interment will follow in the Greenlawn Cemetery, Rhodes Street, Union Point, GA 30669. Serving as pallbearers are Curtis Farmer, Kane Arnold, Jody Arnold, Gage Arnold, Morgan Canup and Dwayne Fields. The family will receive friends Friday at the funeral home from 10:00 a.m. until time for the service. Callaway Funeral Home, 208 N. Rhodes Street, Union Point, GA (706)486-4138, is in charge of arrangements. Visit us at www.mccommonsfuneralhomes.com to sign the online guest register.